Explanation of how technologies can be used to target for assassination - Start to listen at 14:00 into the audio link. (U.S. Psychic War Plan). 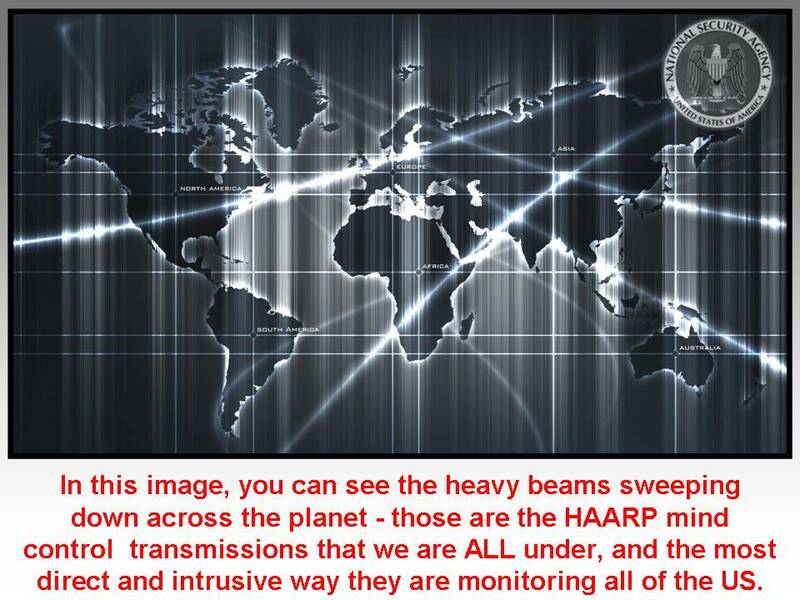 Remote Neural Monitoring Satellite Harassment/Terrorism Awareness! This letter is from Dr. Colodzin, a psychologist who understands what is happening to targeted (tortured) individuals. This letter significantly helped a tortured woman in California. The psychiatrist changed her diagnosis from Schizophrenia to Delusional and she was released from hospital confinement. ENCOUNTERING CLIENTS CLAIMING EXTERNALLY CONTROLLED 'IMPLANTS' ARE AFFECTING THEIR HEALTH: An advisory for healthcare professionals. COMMENT: This is the translation of the REAL intention of FirstNet. Read the psyops, for public consumption, under this translation . . .
FirstNet a FORCE Multiplier - Surveillance and high-speed nationwide network dedicated to track the enemy, the citizenry of the United States. U.S., Inc. is determined to catch, monitor and identify more innocent citizens and bring them to justice in the criminal corporate construct - think NDAA Natl. Defense Authorization Act - arrest without cause, or a warrant, hold (incarcerate) indefinitely without representation . . The 9/11 Terrorist Commission recommended the broadband data collection network to apprehend citizens within the communities. . .
FirstNet will be built to maximize non-lethal directed energy grade standards using Long-Term Evolution (LTE) wireless technology(radiation kills), which is the most advanced invisible, finer-printless, silent systems weaponry being used today. FirstNet will deliver greater coverage, capacity, connectivity, cyber security and "resiliency" than the current multiplicity of diverse wireless weapons, under the guise of public safety. . .
Police, firefighters and emergency medical service personnel will still rely on their land mobile radio (LMR) networks for mission-critical voice with FirstNet providing high-speed data, supplemental commercial grade "voice" and eventually mission-critical LTE voice. FirstNet also will support the integration of LMR networks, even after LTE voice is provided. Funded by the theft of the Middle Class Tax Relief and Job Creation Act signed Feb. 22, 2012, FirstNet is deployed by stealth and paid with Federal Reserve Fiat Currency per the law and projected proceeds from 2014 spectrum auctions. The network is overseen by a for-profit Board of national and International interests, including individuals from public safety; current and former local, state and federal officials and criminals of high standing; and wireless experts that write the falsified safety standards to achieve maximum corporate profits. FirstNet is an independent entity within the U.S. Department of Commerce, National Telecommunications and Information Administration. FirstNet is a NET and is set to use its vast frequency array to target the enemy, without the enemy (the people) realizing they are being subdued. . .
FirstNet anticipates the imminent release of Task Orders! United States Dept. of Commerce . . . The broadband data network fulfills a fundamental need of the public safety community and a key recommendation of the 9/11 Commission. Creating FirstNet will require an unprecedented level of public-private partnership, collaboration and shared commitment to the well-being of all Americans. Using a nationwide spectrum license, FirstNet will provide a single platform for daily public safety communications. When natural disasters, threats to our nation’s security, or other emergencies occur anywhere in the country, FirstNet will enable local, state, regional and national emergency responders to communicate at the direction of the incident commander. REAL NEWS: "A Retraction of Some Piece of Freedom" . . . Hypnotic Data - 4 Essential Features . . 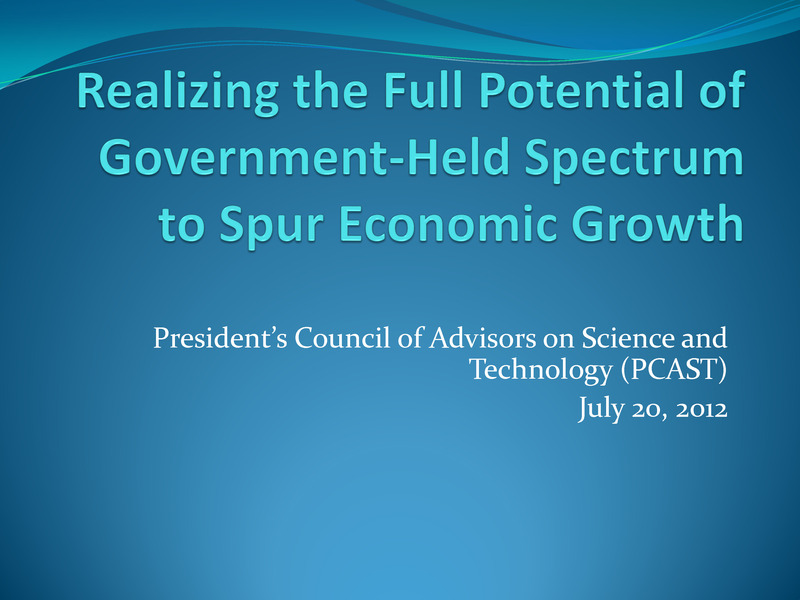 ALERT: U.S. may be well positioned to make transition to 5G cellular networks, report finds - FierceMobileGovernment - Mind Warfare Intensified . . .
Psychotronic Hive mind. We MUST do all we can to get this information out while we still are functional . . . We are in a Mind War . . the goal is FULL Spectrum Dominance and depopulation . . . We must not CONSENT . . . but first you must understand the battle being waged using Psychotronic Weapons - all wireless devices, cell towers, Gwen towers, antennas, smart meters, RFID chipped appliances, cell phones, TV's, radios, WiFi, satellites, the media, many movies, etc . . . go to www.StopTheCrime.net - to the Mind Control link . . Go to YouTube watch PSYWAR and Wires in the Brain - for starters. LAW SUIT FILED - Richard L. Cain vs. The United States Government, the DOD and other Agencies . . . Human Research VIOLATIONS and MORE . . Unfortunately, this law suit will likely be thrown out based upon National Security claims by the perpetrators, the d'fact U.S. Inc., government . . . Read "The Great American Adventure - Secrets of America" by retired Judge Dale to learn that our Local, State and Federal governments are not REAL . . . They are privately owned corporations calling themselves governments. .
Attorney's know the court system does not serve the people, and knowingly continue to extract money of clients who believe they are presented in the judiciary system and they are not . . . Gang Stalking - Evidence of Sabotage at Work . . .
All Wifi must be removed from schools globally and wifi must be removed from neighborhoods. All Fetus formation can be aborted by wifi and or cell tower microwave radiation and Reagan and Bush's Star wars. Barrie Trower, a British physicist who was a microwave weapons expert and who worked for the Royal Navy and the British Secret Service, talks about the health effects of WiFi and other forms of microwave radiation. Barrie Trower came out of retirement because he was concerned that the microwave frequencies and intensities to which children are exposed in schools are similar to those used for microwave weapons. Jaw Dropping What Calif. Police Just Did Regarding Targeted Individuals! The "Silent Weapons for Quiet Wars"; "The NASA WAR Plan" and the "NWO Exposed by Insider 1969" are posted onwww.StopTheCrime.net These documents have told us how we will be tracked and monitored, each and everyone of us . . These documents also explain that there are the STATED GOALS, goals that society will accept - AND the REAL GOALS. . . The real goals are inserting us into "1984", "Solent Green" and "The Island of Dr. Moreau" . . . and worse . . . EMERGENCY EMERGENCY - The MAP - the end of "free will" as we have known it . . Information from the White House website (LINK BELOW . . THIS IS REAL Read the notations under the map . . The MAP - the end of "free will" as we have known it . . Information from the White House website . . . THIS IS REAL www.StopTheCrime.net The image (Map) is from the White House website and the technologies and methodologies are described in the NASA - Future of War Circa 2001 and additional comments are contributed by Dr. A. True Ott . . .
We are continuing with further investigation on this and if you know anyone that can contribute please contact us . .
You know what the NASA War document outlines. You know the "silent weapon" document. I know the DIGITAL GWEN signals - and I know without a doubt the specific harmonics needed for mass mind control. Do you know what the "X-Factor" to their pulsed ELF (extra-low-frequency) mind control happens to be? Something called NEGATIVE OXYGEN IONS. Let me try to sum up in 6th grade language. The oxygen we breath is composed of two oxygen molecules bound together. If the oxygen molecule is stripped of electrons, it becomes POSITIVELY charged. Conversely, if there are EXTRA electrons attached to the oxygen, it becomes NEGATIVELY charged. STUDY after STUDY after STUDY on this (largely by DARPA, Stanford Research Institute (SRI) and CIA MK Ultra) during the 60's and 70's showed that humans breathing negative oxygen ions have markedly better cognitive reasoning skills, are much less likely to be mind-controlled on a massive scale, and more importantly - are much more physically healthy. Negatively-charged oxygen ions are vitally important for healthy humans. Now you must understand that the PRIMARY SOURCE of negative oxygen ion GENERATION is the seashore. The waves of the salty surf crashing onto the coastline rocks and sand 24/7 generate MASSIVE NEGATIVE IONS OF OXYGEN - which in turn supplies the entire nation with what can best be described as "good vibrations" (sorry Beach Boys!) Prevailing winds then circulate the negatively charged oxygen ions throughout the nation. What strikes me immediately is the fact that these DIGITAL WAVE SIGNALS as shown on the map, are specifically only heavily concentrated along America's coastlines, and nowhere else. It appears to me as if TPTB are seeking to electromagnetically strip electrons from the air. I can see no other reason for this, frankly. The net result will, to me, simply result in a much more chemically depressed national population - and viola - a much more easily mind-controlled nation. "Removing the harmful POSITIVELY CHARGED IONIZATION (which has negative effects on human emotions) from the air we breathe ---"
Positively charged oxygen disrupts brain functions and causes emotions of hostility, anger, and even depression . . .
Every element on the periodic table is classed by its ELECTRON molecular orbit. For instance, Hydrogen is element #1 on the table because it has one single electron. Oxygen is number 8 - NORMALLY the gas has 8 electrons. The air that we breath is actually O2. It is composed of two oxygen molecules bound together. O3 - O8 is called OZONE. When O combines with another O molecule, it can either attract EXTRA electrons, or it can be stripped of its normal 16 (8X2) electron orbit. When that happens, the O2 POLARITY is altered. If it gains an electron, the O2 becomes NEGATIVELY CHARGED. Conversely when it loses an electron, the air we breathe becomes POSITIVELY CHARGED. Positively charged oxygen disrupts brain functions and causes emotions of hostility, anger, and even depression. Negatively charged oxygen has been shown to promote emotions of peace, harmony, and tranquility typically. Hope that helps explain how it all works. FREQUENCIES - for thought intrusion . . . includes the Smart Meters, cell phones, cell towers, in fact, ALL wireless communication devices . . .Marshal Gregory Thomas- MK Ultra Expert Explains Today's Trauma Based MK Ultra Mind Control being run on innocent Americans by the US Government Contractors and Volunteers like Infraguard. An Important Series about - Mind Control - Behavior Modification Fully Operational Now . . .This is MOST important! This entire series that Thomas did on MK Ultra is excellent -- the accurate history of frequencies, mind control and stalking being committed today. These assaults never ended in 1975 as the public was told by the MSM according every CIA whistleblower . . . it runs today using NO Touch Torture technologies for Mind Control Behavior Modification as well as Splitting the Personality and Reprogramming the split with Remote Neural Monitoring and Synthetic Telepathy Technologies. Cure For Targated Individuals ? Comm 12 is a secret US Navy cell. And AquaTech is a secret USAF cell. They have been at war for years. The names seem counter-intuitive by Aqua-tech was the cover organization actually names to symbolize the age of acquarius" new mindcontrol. ARE YOU THE VICTIM OF ELECTRONIC WARFARE? NOW Attorney General Eric Holder is NAMING and identifying "individuals" as possible self radicalized terrorists set to attack - Holder is also using this statement to cover up the government and militaries MKULTRA programs and the "cueing" of Manchurian candidates . . . This is predictive programing by the media propaganda machine of CNN, which was setup by the CIA and the international bankers to promote disinformation (make-believe), psywar - TERROR, and dividing the people so they will not unite. 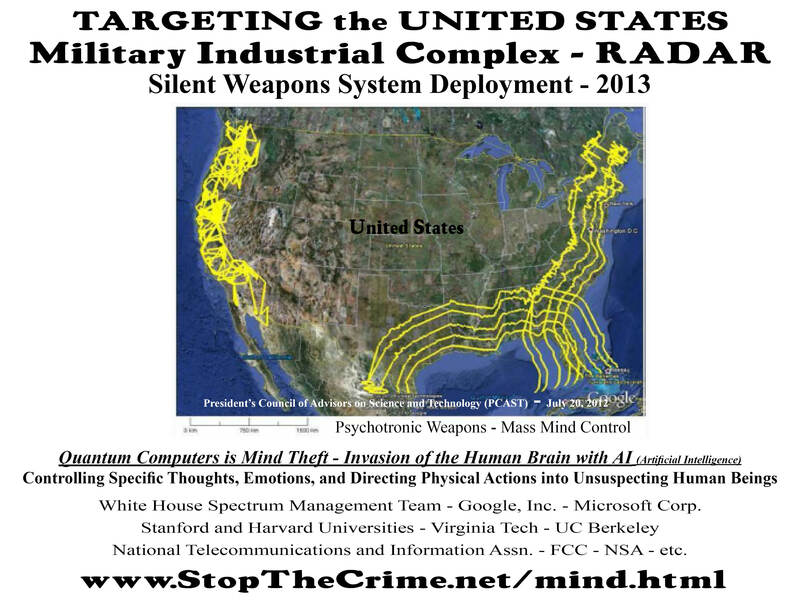 In the Aquarius Operation Briefing you will read how the group is using mind control to cause many otherwise good and decent people to commit random shootings in high density population areas throughout the United States. The OPG is behind the "cueing" of selected individuals though mind control techniques and frequencies to kill innocent civilians to create mass fear. When Holder said "lone wolf" - these are mind controlled victims who have been radicalized by organized criminal trauma networks, they can be members of every walk of life including CIA, Freemasons, secret societies and the many other organizations including military and governments that have no regard for ethics, morality or life itself. Not all the members in these organizations are responsible or even know about this secret hidden agenda to create chaos, murder and organized terror in our communities based on FEAR. Those participating in these crimes seek money, power and control and they use the good and descent people by abducting an individuals "free will" and force years of training, manipulation and trauma that seizes a victims thoughts and power over their own bodies to be used as false flags and to escalate fear, terrorism and to harm innocent people. All the while those who brutalize these victims take no accountability, plausible deniability of short term and long term goals of a hidden agenda - which is now coming into view. . .
STANFORD RESEARCH INSTITUTE (SRI) has genetically modified a parasite that it has already infected 60 million innocent Americans according to the CDC. UC Berkeley is very likely not the first place this GMO "parasite" was studied and perfected! SRI has long been the primary hub of MK Ultra experimentation and social engineering under CIA and NASA contracts. It appears this is yet another "Silent Weapon" - who's to say if this is not an active component of chemtrails? Whom this CRIME is a New Issue . . .
Foul-mouthed hacker hijacks baby's monitor . . . subliminal messaging is increasing massively and our society is at great risk . . .
NSA Atrocities! . . . The Massive SPY GRID in Bluffdale, Utah - by Dr. True Ott . . . MIND CONTROL - Information From Sweden . . . Comment from Sweden about the Whitehouse Doc. Well, this discussion is global, every country is engaged. Robert Duncan interview with George Nori . ."The Mother Of All Black Ops": Dr. Robert Duncan Interviewed On Coast To Coast - Why Doesn't So Called "Patriot" Alex Jones Interview Robert Duncan? Because If Jones Did, His Program Would Be Sabotaged The Way That Jesse Ventura's Conspiracy Theory Program Has, Since The Former Minnesota Governor Did An Episode On Mind Control Weapons Entitled "The Brain Invaders"
MORE - Leaked documents on mind control . 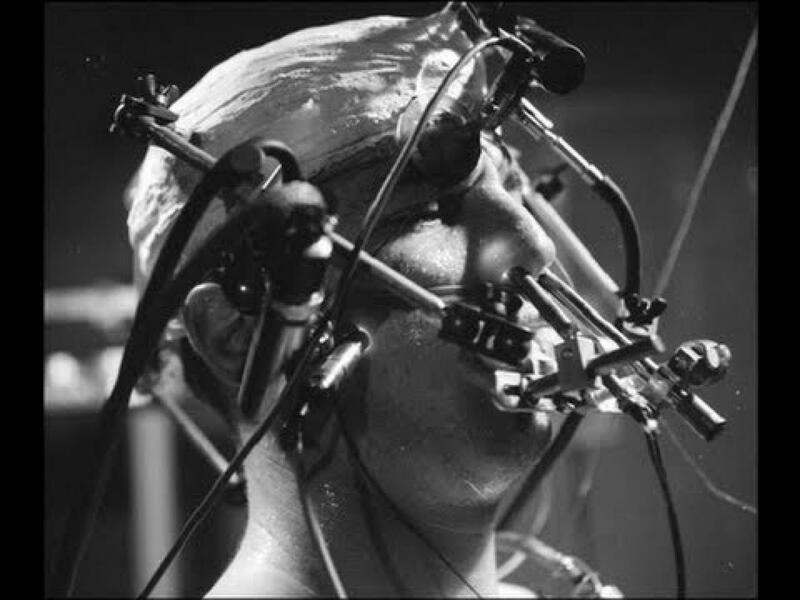 . .
CIA’s Electromagnetic Mind-Control Experiments . . . Controlling human behavior by remote radio transmission isn’t science fiction—it’s a fact . . . Mind Control - Innocent US Citizens Targeted and Tortured by Electromagnetic Pulse Microwave Frequencies . . . The Sound of Silence . . .
NSA - The Hidden Agenda - Running Earth, Inc. and Global Mind Control of ALL Societies . . . "The Quantum Computer"Make no mistake - this massive data collection center is a game changer leading to economic globalization and the unveiling of Earth, Inc. The mask is being taken off of the shadow government who WILL not only run the affairs of the Planet, but will remotely control all our minds . . Think not - think again or at least think while you still can . . The ability of Quantum Computing will create new and different relationships to capital, labor, consumer markets, and national governments. This changes everything . .Al Gore says, " the worldwide digital communication, Internet, and computer revolutions have led to the emergence of "the Global Mind, which links the thoughts and feelings of billions of people and connects intelligent machines, robots, ubiquitous sensors, and databases ALL together ". . This should concern everyone because no one asked any of us if we wanted the balance of global political, economic, and military power to shift more profoundly then at any time in the last five hundred years - from a U.S. centered system to ONE with multiple emerging centers of power, from nation-states to private actors, and from political systems to markets. - per Al Gore and the globalist agendas he writes about. Lets break this down - this Quantum Computer will run the world and everyone and everything on the face of the planet . . .Some say the Quantum Computer is the best equipment American tax payers can buy to spy on themselves. What happened here? Something is terribly wrong. We know this massive data collection center is NOT what we are being told. . .